Completely automatic machine. A counter gives the required number of rollings. 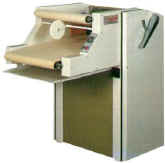 At the end of each cycle the rolled dough comes out automatically and the machine stops. 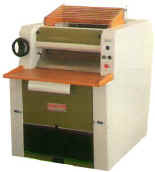 If requested the machine can be supplied with pulverizer and/or outfeed belt.